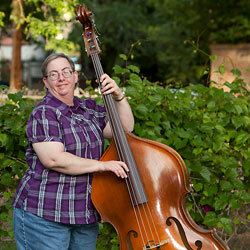 Kate's a classically trained musician with a degree in music from Colorado State University. 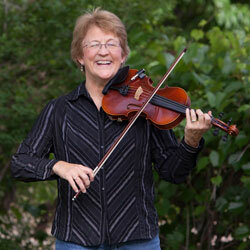 She played with the Colorado Springs Symphony and the Arlington Symphony. As part of the Beethoven Night Cappers, she played Carnegie Hall, the Kennedy Center and the QEII. Kate's classical career veered dramatically toward traditional music when she started hanging out with the band's banjo hacker. Kate's got a big mellow sound and plays way-faster than the rest of us can keep up with (Stevy, the wicked bass player, excepted). Toured east-coast dances with the C&O Drifters Stringband featuring Ruthie Dornfeld on fiddle, Bridget Edwards calling, Richie Schumann on guitar, and Pat on banjo. 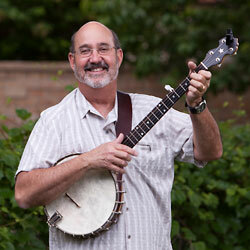 Eugene plays guitar and mandolin with equal skill and taste. At the age of 10 Eugene picked up the guitar and gravitated toward Rock & Roll, R&B and Blues. He was lead guiter for the Chicago based Uncle Jon's Band. 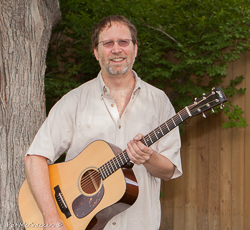 Stevy is one of those sought-after musicians who is busy all the time, playing a wide variety of music genres including jazz, bluegrass and classical. She lays down a terrific bass line - sometimes we just stop and listen.